We have to understand who we are and where we fit in the natural order of the world because our oppressor deals in illusions. They tell us that it is power, but it is not power. They may have all the guns and they may have all the racist laws and judges, and they may control all the money, but that is not power. These are imitations of power and they are only ‘power’ because in our minds we allow it to be power. Our obligations and loyalty should not be to a government that has proven time and time again that it is the enemy of the people unless the people are rich in dollars. ... The Earth gives us life, not the American government. The earth gives us life, not the multi-national corporate government. The Earth gives us life. 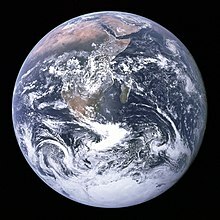 We need to have the Earth. We must have it, otherwise our life will be no more. So we must resist what they do. John Trudell (February 15, 1946 – December 8, 2015) was an American author, a poet, musician and a former political activist. When I go around in America and I see the bulk of the white people, they do not feel oppressed; they feel powerless... We see the physical genocide that they are attempting to inflict upon our lives, and we understand the psychological genocide that they have already inflicted upon their own people. The Indigenous Voice, Vol.2, Roger Moody, ed, UK. There are insane people who wish to rule the world. They wish to continue to rule the world on violence and repression, and we are all the victims of that violence and repression. They are going to become more brutal. They are going to become more oppressive. This oppressor, this machine that has gone mad and run amok, it is berserk. They keep telling us, "progress.” They keep telling us “face reality.” Well, let’s deal with reality. Reality is the Earth can no longer take this attack. We can no longer allow this Thing to continue when it’s polluting the air, it’s polluting the water, polluting our food. They pollute the air, they pollute the water, they pollute our food, they pollute our minds. Our obligations and loyalty should not be to a government that will not take care of our needs. Our obligations and loyalty should not be to a government that has proven time and time again that it is the enemy of the people unless the people are rich in dollars. The Earth gives us life, not the American government. The earth gives us life, not the multi-national corporate government. The Earth gives us life. We need to have the Earth. We must have it, otherwise our life will be no more. So we must resist what they do. Columbus, I guess it all did start with Columbus. ... To me he was like a virus, a disease. I spent a lot of time protesting, trying to figure out how to deal with this disease. I think we really need to put serious thought into understanding that we're dealing with a disease. It's like there's this predator energy on this planet, and this predator energy feeds upon the essence of the spirit, feeds upon the essence of the human being, the spirit. This predator energy can take fossil fuel and other resources out of the Earth, turn it into fuel, to run a machine system. But in order for there to be a need for that system, and in order for that system to work, they have to mine our minds to get at the essence of our spirit. In the same way the external mining takes place, it pollutes—we see now, people understand how it poisons the environment, the water, the air pollution—the mining of the essence, the mining of the spirit, mining our minds ... the pollution from that is all the neurotic, distorted, insecure behavior patterns that we develop. That's the pollution. Because in order for this predatory system, this disease, to work, we must not be able to use our minds in a clear coherent manner. Because if we use our minds in a clear coherent manner, we will not accept the unacceptable. Sometimes when it rains, it's not that simple, when the sky has reasons to cry. The past is more than a memory. Every human being is a raindrop. And when enough of the raindrops become clear and coherent they then become the power of the storm. This page was last edited on 20 October 2018, at 12:07.